Back in London, Darwin delivered a series of well-regarded papers at the Geological Society of London before becoming its secretary in 1838. This job carried significant responsibilities and was the most substantial scientific obligation Darwin was ever to accept. In the same year he also took up a famous geological puzzle, trying to explain the remarkable ‘parallel roads’ of Glen Roy. Darwin’s work at Glen Roy shows that he believed the same basic processes that had shaped the geology of South America were also at work in the British Isles. This was the beginning of the end of Darwin’s career as a field geologist. In the 1840s he expanded his papers of the previous decade by publishing three volumes on the geology of the Beagle voyage, but as his health worsened, Darwin no longer had the constitution or the disposition to seek out rugged terrain. In his last years, however, Darwin resumed active study of a topic he had first discussed at the Geological Society immediately after the Beagle voyage – a topic for which the grounds of his home at Downe in Kent were as good a field site as any: the power of earthworms to modify the landscape. Earthworms was the last book Darwin published before his death in 1882. Rhodes, Frank H.T. 1991. 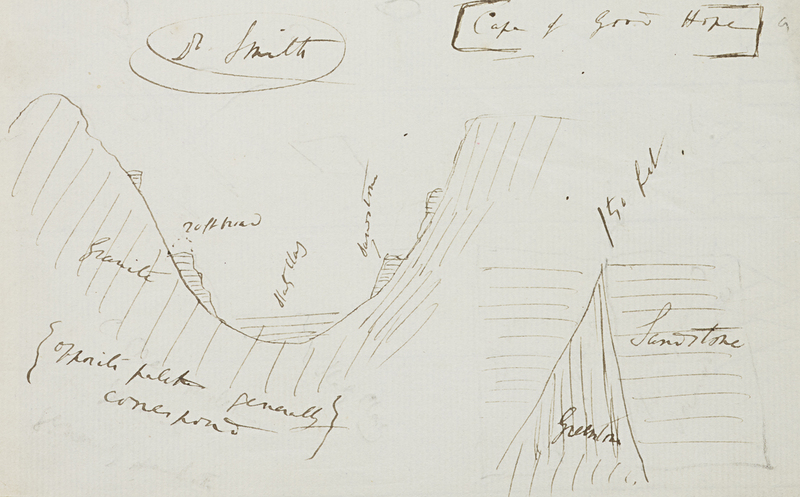 Darwin’s search for a theory of the earth: symmetry, simplicity, and speculation. British Journal for the History of Science 24: 193–229. Rudwick, Martin J.S. 1974. Darwin and Glen Roy: a ‘Great Failure’ in scientific method? Studies in the History and Philosophy of Science 5: 97–185. Rudwick, Martin J.S. 2005. Bursting the limits of time. Chicago: University of Chicago Press. Rudwick, Martin J.S. 2008. Worlds before Adam. Chicago: University of Chicago Press.